TOPEKA, KS--(Marketwire - September 15, 2010) - Signaling a strong return to the retail annuity market place, Security Benefit Retail Retirement President Doug Wolff today announced that Ken DiFrancesca has joined the Security Benefit retail retirement team as Vice President, Sales and Business Development focusing on sales and distribution in non-educational retail channels and annuity markets. "The time is right for Security Benefit to re-engage in the annuity marketplace, and I'm delighted to have Ken, his leadership and proven abilities on our team," said Wolff. "Ken brings a tremendous amount of experience and prestigious credentials to this channel for us, and we're confident that we'll benefit from his expertise in all aspects of distribution, product development, as well as his significant background and experience in working with broker/dealers, independent marketing organizations and cultivating key relationships." The Retail Retirement business of Security Benefit includes Security Financial Resources, a leading provider of retirement plan services throughout the nation, primarily in the education marketplace; and Security Benefit Life, providing fixed and variable annuities to retail customers. DiFrancesca will report to Al Dal Porto, who also recently joined Security Benefit's team as Senior Vice President, Retail Retirement. Dal Porto said DiFrancesca brings an impressive resume to Security Benefit with more than 25 years of professional financial services experience. 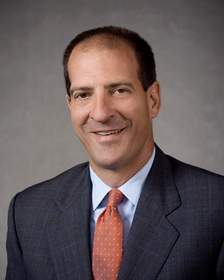 During his career, DiFrancesca has played key leadership roles in the annuity and retirement product and distribution efforts at such companies as Fort Dearborn Life, MetLife Investors/COVA Financial, Aetna Financial Services and GNA Corporation. "I've had the unique experience of actually working with Security Benefit when I was with my previous organizations as we looked at possible business opportunities," said DiFrancesca. "I always -- without fail -- was impressed with the professionalism, the work ethic, the expertise and the innovative approach of Security Benefit. It's exciting that I'm part of this incredible team. We are at an ideal place in our ability to grow the organization, continue to serve our clients beyond compare and create unique and compelling products. I'm eager to make good things happen." In addition to being in the financial services industry, DiFrancesca, a Chicago native, recently supported Chicago2016, the group that worked to bring the Olympics to Chicago and continues to support 1World Sports, a non-profit organization with the mission of bringing sport to inner city youth. DiFrancesca has a Bachelor's of Science from the University of Illinois at Urbana-Champaign and a Master's from Northwestern University. He has his FINRA Series 7, 24 and 63 licenses. DiFrancesca will be based out of Chicago. Security Benefit fosters strong partnerships to provide insightful and customized retirement solutions for employers and individual investors nationwide. Through a broad advisor network and its nationally recognized money managers, Security Benefit provides mutual funds, annuities, exchange traded funds, broad retirement plans and programs. As an industry leader in service technology, Security Benefit affiliates also offer business processing and broker/dealer solutions tailored to the financial services marketplace. For more information about us, visit www.securitybenefit.com. Fixed and variable annuities are issued by Security Benefit Life Insurance Company (SBL), Topeka, Kansas. SBL does not transact business in the state of New York. Services are offered through Security Distributors, Inc.